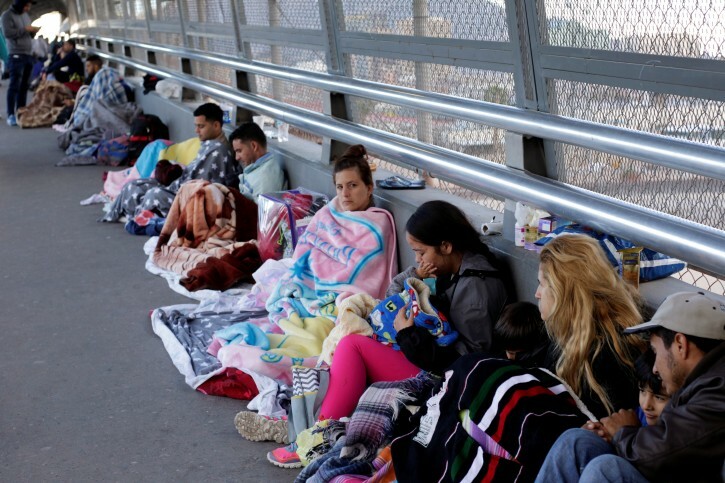 Washington - The Trump administration took a major step on Thursday to restrict asylum claims by migrants, putting forward a regulation that would make individuals ineligible for asylum if they cross the U.S. southern border illegally. This new regulation is long overdue and makes so much sense. Except hashomer in her urge to write the word ‘trumpf’ will surely weigh in on this with some rant, unless she loosened her schpitzel already. Congress has never granted such authority to the President or his Cabinet members. There are decades of Federal case law guaranteeing the right of any alien in America to seek a visa, green card, work permit or citizenship once they are IN the country. Of course alt-yidden would not be familiar with American law or the Constitution. They are familar with their 11th Commandment- Don't think for yourself. Only follow the Orange Fuhrer! American law does not require asylum claims be made only at border crossings. This violates the law. It makes sense on a policy level but it might be unconstitutional. Supreme Court will be getting this one.